Men's Nike Air Overplay Basketball Shoes Just $39.98! Down From $70! 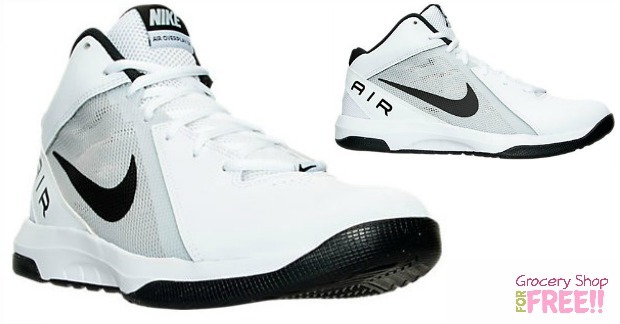 You are here: Home / Great Deals / Men’s Nike Air Overplay Basketball Shoes Just $39.98! Down From $70! Men’s Nike Air Overplay Basketball Shoes Just $39.98! Down From $70! Right now you can get these Men’s Nike Air Overplay Basketball shoes for just $39.98 down from $70! Just add them to your cart to see the $39.98 price. Also have them shipped to your store and pick them up for FREE shipping! Carry your team to the promise land and bring home the W in the Men’s Nike Air Overplay Basketball Shoes. The Nike Air Overplay is equipped to handle hard landings in the paint thanks to the Nike Air unit inside the heel. Lightweight, breathable and durable upper construction keeps you feeling comfortable all game long. This performance basketball sneaker stays true to the franchise aesthetic, but uses modern construction methods to achieve lighter weight and for the first time ever, Nike Air technology is incorporated into the heel of the shoe for great cushioning on impact. The allover herringbone pattern with aggressive traction around the perimeter of the outsole provides you with durability and excellent grip for multidirectional movement.